The congregation at Saint Charles of Brazil Parish blesses the new first communion class during the fifth Sunday of Lent service at Saint Charles of Brazil Parish on April 6, 2014 in Arbutus, Maryland. Steve Konyar of Linthicum participates during the fifth Sunday of Lent service at Saint Charles of Brazil Parish on April 6, 2014 in Arbutus, Maryland. A member of the congregation reads from sheet music during the fifth Sunday of Lent service at Saint Charles of Brazil Parish on April 6, 2014 in Arbutus, Maryland. 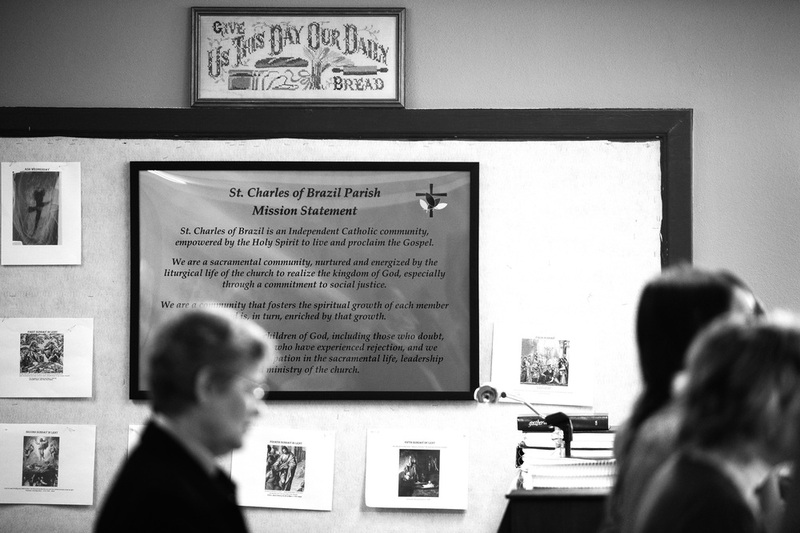 The Mission Statement is displayed on the wall during the fifth Sunday of Lent service at Saint Charles of Brazil Parish on April 6, 2014 in Arbutus, Maryland. The congregation dismisses the children to a separate religious lesson during the fifth Sunday of Lent service at Saint Charles of Brazil Parish on April 6, 2014 in Arbutus, Maryland. Ruth Wickless, left, of Arbutus teaches the children of the congregation at a separate religious lesson during the fifth Sunday of Lent service at Saint Charles of Brazil Parish on April 6, 2014 in Arbutus, Maryland. Father Peter Smith of Catonsville leads the congregation in prayer during the fifth Sunday of Lent service at Saint Charles of Brazil Parish on April 6, 2014 in Arbutus, Maryland. Father Peter Smith of Catonsville presents the bread for the communion ceremony during the fifth Sunday of Lent service at Saint Charles of Brazil Parish on April 6, 2014 in Arbutus, Maryland. Tim Bristow, second from right, of Arbutus receives communion from Patti Ernst, of Linthicum while Pat Gurbelski, left, receives communion from Father Peter Smith during the fifth Sunday of Lent service at Saint Charles of Brazil Parish on April 6, 2014 in Arbutus, Maryland. 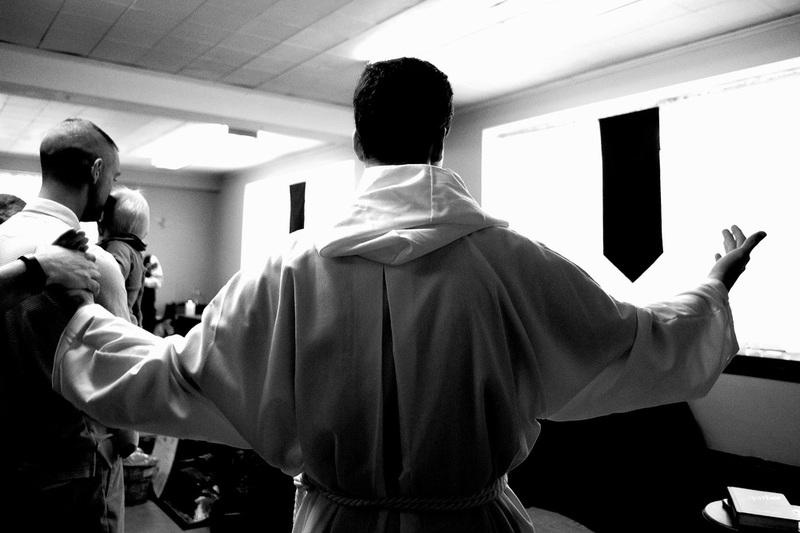 Pat Gurbelski of Violetville takes a moment to reflect during the fifth Sunday of Lent service at Saint Charles of Brazil Parish on April 6, 2014 in Arbutus, Maryland.